With all of South Lake Tahoe’s offerings for shopping, activities and eating, wanting to do it all is understandable, and you shouldn’t let your budget keep you from it! South Lake Tahoe coupons are at the ready, so you can keep shopping, playing and dining, and your wallet keeps smiling throughout your South Lake Tahoe vacation. Take on even more activities like bike tours and SUP trips when you whip out these South Lake Tahoe coupons that keep your day or vacation busy and fun. Having trouble deciding between that suede purse and the lovely earrings? Why not make both yours with the help of a 25% off coupon? You know that painting you’ve been eyeing? Celebrate your birthday a few months early or treat yourself “just because” when you use a coupon to buy it today. And with the expense of dining, did you think you might have to limit yourself to one meal out per day during your South Lake Tahoe vacation? Nope, that’s not the case! Thanks to South Lake Tahoe coupons, you can enjoy hot pancakes for breakfast, tasty tacos at lunch and freshly caught Salmon for dinner at all those restaurants you’ve wanted to try. In South Lake Tahoe, there’s always somewhere you can save a little money. And it gets better too: the coupons are super easy to use. Just print them out or pull them up on your smart phone to show the clerk whenever you make a purchase. This page is updated regularly with new South Lake Tahoe coupons, so check back frequently to find ones that’ll come in handy when you’re out and about. And don’t forget to browse through Lake Tahoe This Week Coupons for great offers and deals from all over the Tahoe area. 20% Off select cases (12 bottles) of boutique California wines. Get 20% Off Bottled Wine when you mention tahoe.com to your sever. Available Daily. 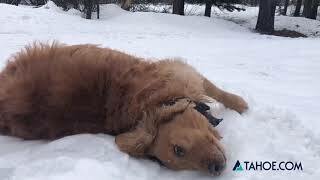 Receive $5 off any Ski or Board package. Valid for 1st rental day only. Featuring our WinterSteiger Tuning Center. Good for the entire family. Save $5 on any $50 purchase of non-sale items. Good for the entire family. Take $3 off any flavor of hookah when it's your first time at Xhale Bar & Grill. Buy one pasta dinner entree and get 1/2 off another equal or less value. 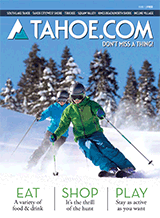 Mention tahoe.com and Get 10% off your purchase!